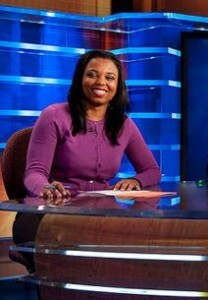 Jemele Hill is a co-host for ESPN2’s Numbers Never Lie, along with fellow co-host Michael Smith. Smith and Hill also co-host an ESPN Audio podcast His & Hers with Michael Smith and Jemele Hill. Hill joined ESPN in November 2006 as a national columnist on ESPN.com who also makes regular appearances on television, including SportsCenter, ESPN First Take, Jim Rome is Burning, and Outside the Lines. Before joining ESPN, Hill worked as a columnist for the Orlando Sentinel from 2005 – 2006. From 1999 – 2005, she served as a sports writer with the Detroit Free Press covering Michigan State football and basketball. Hill began her career in 1997 as a general assignment sports writer for the Raleigh News & Observer. In 2007, Hill won the first annual McKenzie Cup, which is given in tribute to groundbreaking sports editor Van McKenzie, at the annual Poynter Media Summit. She also received an honorable mention in the 2007 edition of Best American Sports Writing. In 1998, Hill won first place in sports feature writing at the North Carolina Press Association. Hill is also a member of the National Association of Black Journalists. A native of Detroit, Hill attended Michigan State University and graduated in 1997 with a degree in journalism and a minor in Spanish.